Fundraiser by Carrie Gracie : Stand up for Equal Pay now! Stand up for Equal Pay now! Donate today, fight pay discrimination for women on low incomes. Do you ever feel that what started as a natural need for privacy has turned into a damaging secret? That’s what can happen on pay. When pay secrecy thrives in the workplace, so can pay discrimination. I found that out the hard way. With your help, we can stop unfair pay for good. 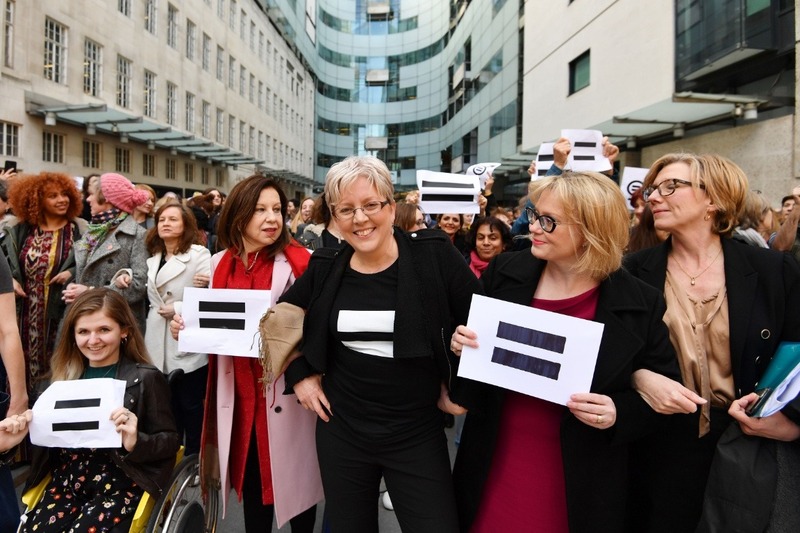 As an international editor at the BBC, I thought I was being paid equally, until I learnt my male colleagues were earning at least 50% more for doing the same job. I know I am not alone. Since I fought my case, many women in other workplaces have told me about their feelings of confusion and helplessness in confronting pay discrimination at the hands of big, ‘lawyered up’ employers. It can be very lonely, especially for those who can’t afford any legal support. That is why, today – on the eve of Equal Pay Day – The Fawcett Society and YESS Law are launching an Equal Pay Advice Service, started with a donation of my backdated pay from the BBC. This service will be for women on low incomes, who otherwise would be unable to access the help they desperately need. We want to reach hundreds of women – but we can only do that with your support. Raising £20,000 will enable us to help 100 women resolve their situation with their employer. Will you show your solidarity by donating towards that amount today? Even a small amount will make a huge difference. · £10 will help to fund an initial phone call with YESS Law to help assess each individual case. · £20 will help us to inform those on low incomes about their rights at work, and how to fight for them. · £50 can help to fund a full write-up of a case, along with legal advice. · £200 will fully fund a thorough and detailed consultation with a qualified lawyer. Pay discrimination can happen to anyone. It could be happening to you, to your mother, daughter or sister. Isn't it about time we stamped it out for good? You can help us get there. By donating today, you can give a woman the support, solidarity and justice she deserves. We are fortunate to have the support of GoFundMe who have donated £1,000 towards the fund, and have provided us with support throughout the planning and launch of this campaign. 100% of your donation will go directly to the cause. Today we've seen a major victory in the battle for equal pay. Former senior Co-op Group Executive Sam Walker has won her equal pay and unfair dismissal claims against the company. 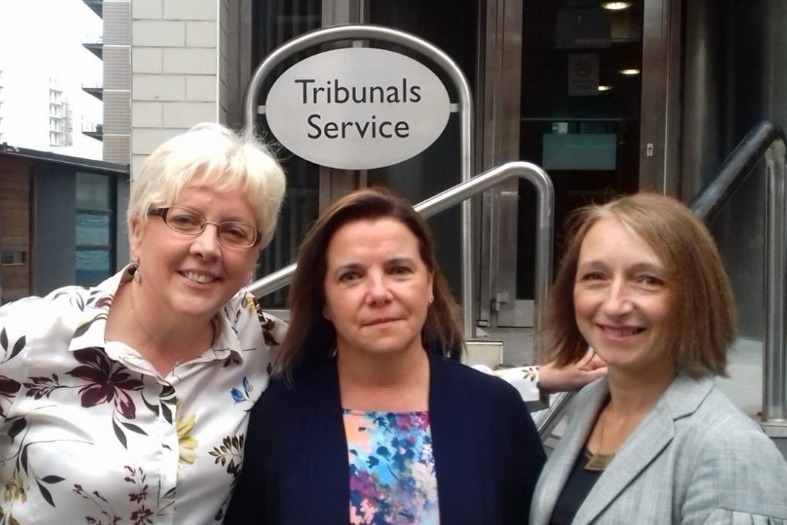 She is now joining forces with Carrie Gracie and Fawcett to ensure more women get access to justice through our Equal Pay Advice Service. This case proves that when women challenge pay discrimination, they win. So few women have access to justice, but we can change that together. Since our launch last week, we have already seen women apply for help through our new service, and we want to ensure we can help many more. You have helped us raise almost £4000 towards our Equal Pay Fund. We want to get to £5000 by the end of this week, which will help 25 women resolve their cases. Help us get there today by sharing the page, and getting 2 friends to donate! Thank you to everyone who has donated towards our Equal Pay Fund since our launch yesterday. So far, you have helped us raise over £3200! That's enough for us to help resolve 16 cases of unequal pay. But we need to go further. Will you help us get there? Sharing this page on Facebook can increase donations by 3 times. Get us to £4000 by the end of today by letting 3 friends know about the Fund. We're over the £2000 mark! Thanks to you, we've reached 10% of our target in just a few hours. Thank you so much for your support. There's one more thing you can do to help us get to our goal and help hundreds of vulnerable women. Ask your friends and followers to share our page via Facebook, or by messaging them the link. Together we can stamp out pay discrimination for good!